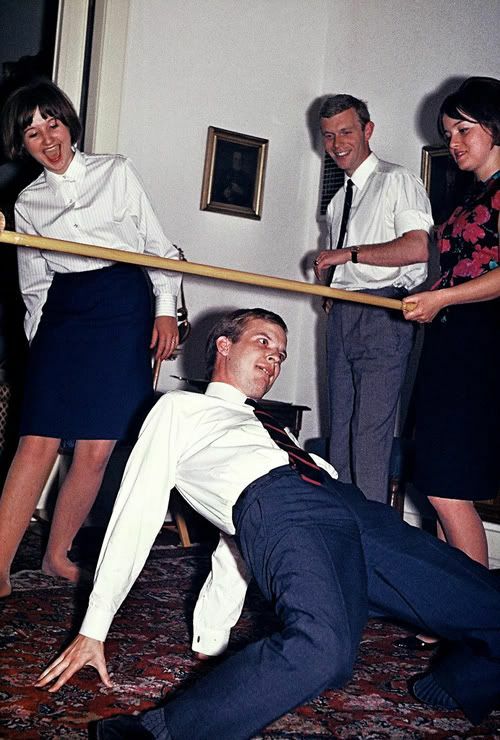 TGIF with a Party from the Vintage Photo Album! Hello friends! I’m here in hot-n-humid South Carolina and whew mama is it ever sticky. Even so, we’re having a blast with lots of swimming, laughing and exploring going on. I have minimal Internet access this week and can’t get on my laptop ( a blessing in disguise!) so alas, no fun Friday Linkies….but I do have a few little cool things in the hopper to share with you. Today I wanted to share with you guys a great set of retro photos that just makes me sooooo very happy. 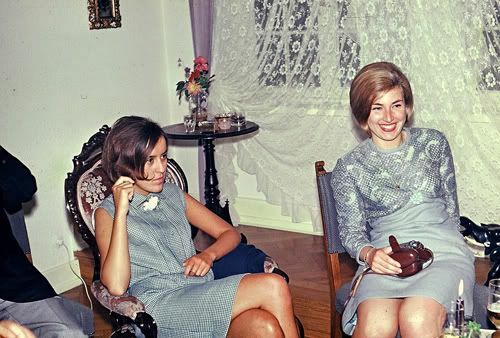 Sure you’ve seen vintage photos from the 60s. 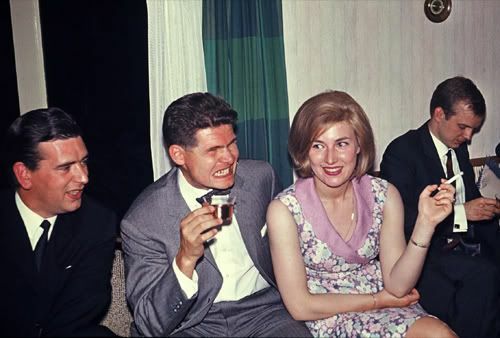 And sure you’ve seen some vintage photos of parties. 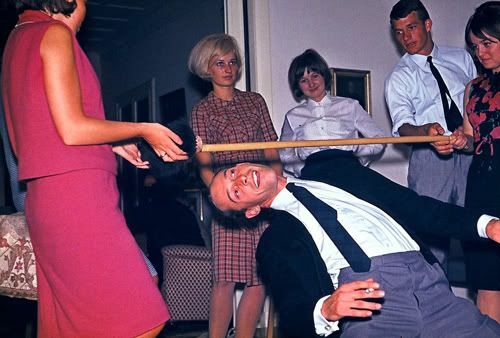 But have you ever seen photos of a vintage 60s LIMBO PARTY?? Oh ho ho, I thought not my friends! Cue the Harry Belafonte and let’s limber up! 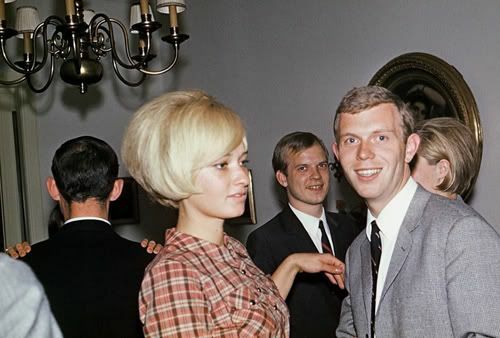 The year was 1962 in the beautiful city of Hamburg, Germany…and some young people decided it was time to cut the rug! Aw yeah, the perilous “limbo with cigarette”! 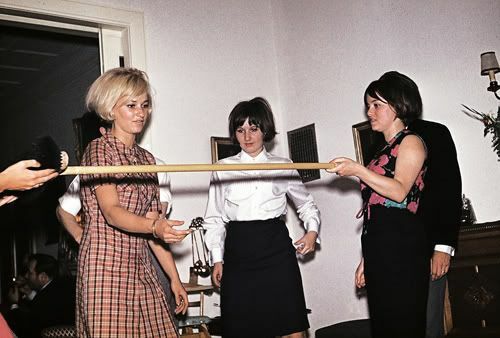 These girls are so cute…this could be a modern day party, no? So awesome, no? While the spunky blonde is very glamorous, my favorite of course is the girl who fell down! Hey, so before I go, has anyone seen any new movies recently? (Beside Potter, of course!) Greg and I are planning a few date nights and I have no clue what’s in the theaters! I’m craving something fun and blockbustery! Did you take these photos right out of my album? Sure takes me back. See how elegant the guys were? Ties!!!!! Oh the hairstyles!! The last blond is my twin! Midnight in Paris is so charming! I thoroughly enjoyed every second of that movie. I have to agree with Cassie–I loved that movie! Midnight in Paris is wonderful! Don’t even think of showing up with hair that isn’t teased.